CROFT offered an architecture/engineering scholarship to help graduating students pay for college. The requirements were to be a high school senior, plans to attend college, must exemplify passion for architecture or drafting, have a strong work ethic and a desire to serve others. We also asked for a portfolio and a 3-5 paragraphs essay explaining how architecture has inspired the student and their career aspirations. After careful consideration, we chose two winners from two high schools. They are: Madeline Rae Bumgardner from Calhoun High School and Autumn Larkins from North Cobb High School. Madeline is an aspiring engineer. She does not know which path in engineering she will take but her aspiration is to design and create a world that improves life for generations. She wants to be a role model and inspire young woman to enjoy science and math and have a desire to build and expand their knowledge. She is interested in biological engineering with emphasis in biomedical, after seeing a prosthetic leg that had been crated while she was visiting a university. She says engineers aspire greatness in society and they save lies. Madeline comes from a family of plan desginers, general contracts and engineers. Autumn applied to Ball State University as a first year Architecture major and is now enrolled in their Fall 2018 class. She says architecture is part of her life and both of her grandparents were involved in construction. Her goal in life is to become a part of, and eventually lead, a team of architects, construction workers, and engineers that focus on rebuilding improved version of residential and commercial buildings that were demolished during natural disasters. 2nd Annual Acworth Police "Steak Out"
Kip Stokes and Jim Croft with Anthony Rodriguez, the Co-Founder and Producing Artistic Director for the Aurora Theatre. The new 9-1-1 Communications Center and Emergency Operations Center in Dallas, Georgia had a grand opening ceremony on October 10th. The new facility is at 1389 Industrial Blvd. North in Dallas and it replaced the facility which the 911 department shared with the Paulding County Sheriff's Office at 247 Industrial Way North. The E-911 center handles about 300,000 calls annually, while the emergency operations center is used as a staging area for first-responders and other local agencies in times of natural and manmade disasters. This new center is equipped with the latest technology in order to maintain Paulding County's commitment to quality service. 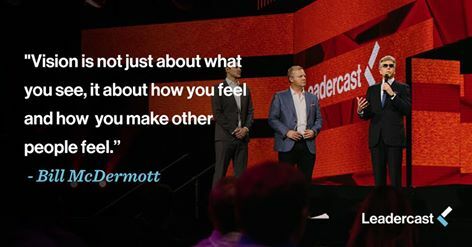 The World's largest one-day leadership conference simulcast took place on May 5th and we were so happy to be part of it. 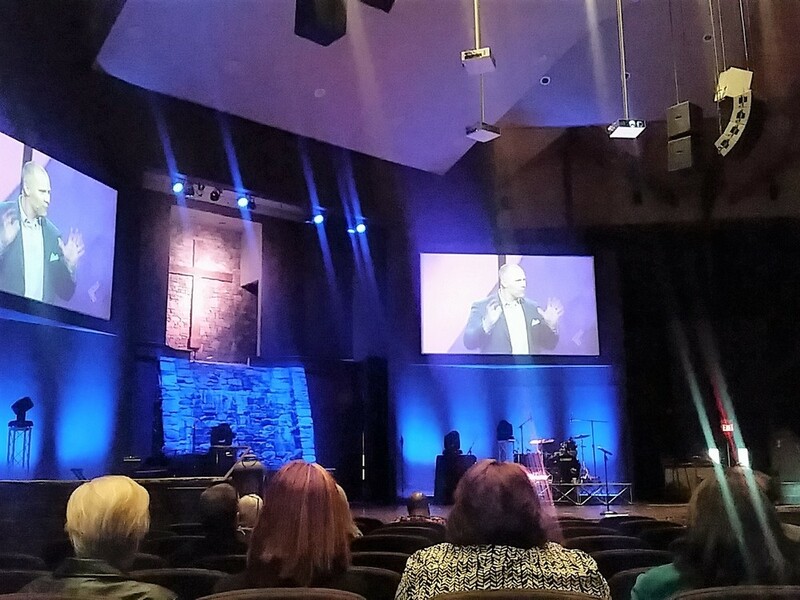 We were sponsoring the simulcast from Piedmont Church in Marietta. Over 250 people attended at this location and I am sure everyone was inspired just as we were. This year's theme was "Powered by Purpose." Purpose is what defines us, drives us and empowers us. It is the glue for an organization and the fuel for an individual. The conference allowed the attendees to discover the steps they can take to uncover their purpose, to reconnect to their organization's "why," to attract and engage the right people for your efforts and to thrive as a team. 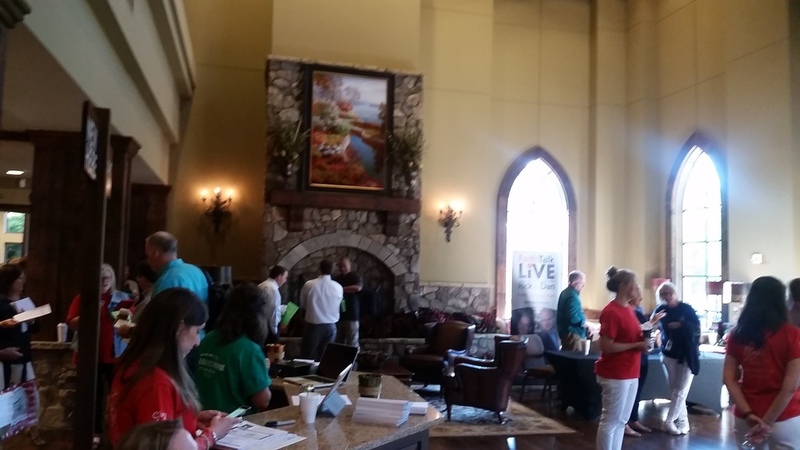 Proceeds from Leadercast Marietta will go to support a scholarship fund for GRACEPOINT School. GRACEPOINT is a local private Christian school dedicated to equipping dyslexic students with the skills needed to develop into independent and confident learners, through sequential, systematic and multi sensory instruction. 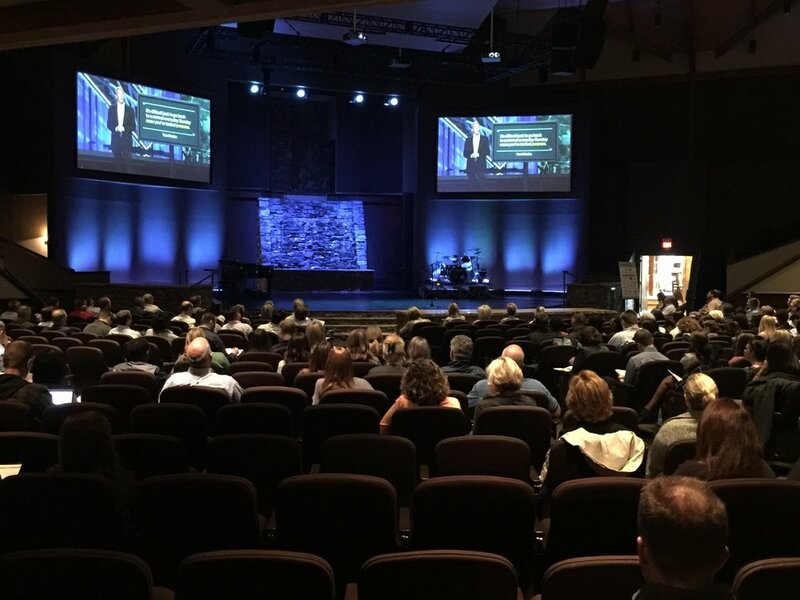 Leadercast had a great agenda this year on Powered by Purpose, and a diverse slate of speakers to cover it from leadership expert and best-selling author, Suzy Welch to producer and actor, Tyler Perry. Each speaker has been selected to help with your journey towards becoming a better leader. What a fun day that was! 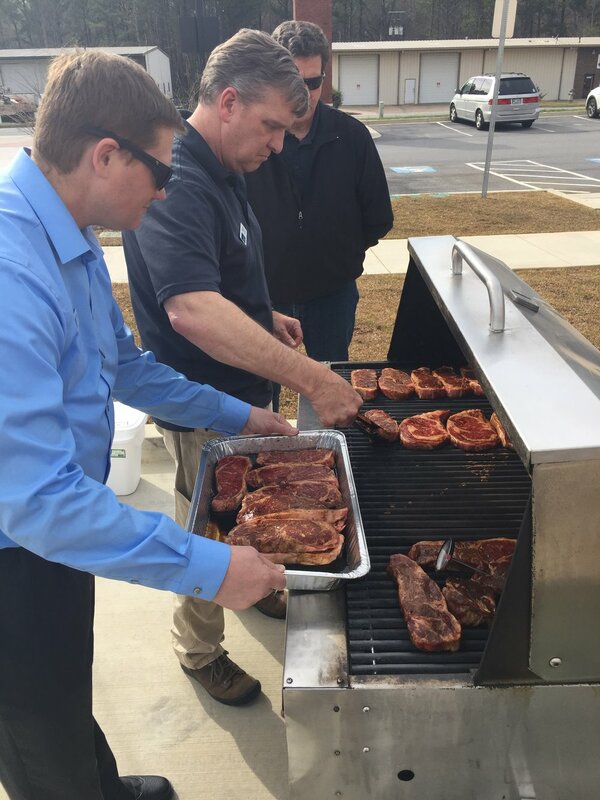 We got together with the Acworth Police Department to show how much we value their service and protection of our community. Grilling steaks, enjoying baked potatoes and delicious brownie dessert on a nice, spring day afternoon. We think it was a success! This year we had the wonderful opportunity to work on a building renovation for the Gracepoint School in Marietta, GA. There was no budget for any colored carpet, but thanks to Croft’s initiative and with the help with of Beth Chandler at Mohawk Carpet and Phil Branon at Bonitz Flooring Group, who actually purchased the carpet for the school, we were able to get the school more color! It is really great to have such reliable friends! Gracepoint originally opened in August of 2012 and began serving dyslexic students in grades 1-8 in a Christian environment. For several years the school had no home of their own. But this August they moved into a newly renovated building they can call their own. Rodney has over 40 years of experience in the electrical industry from research and development and applications engineering in a major lighting fixture manufacturer to electrical and lighting design for several consulting engineering groups in the Atlanta area. His project involvement has been in business sectors including heavy industrial, commercial buildings, restaurants, health care, education, government, and military. At Croft, Rodney is part of the engineering team and he provides electrical and lighting design support to our architectural group as well as outside clients. Rodney is a graduate of Mercer University and is both a certified lighting designer and LEED AP with wide-ranging experience in lighting, power, fire alarm, and telecommunications design. He has also been part of numerous energy audits, arc flash studies, and electrical metering projects throughout the United States. Always a Georgia native, Rodney has lived in several places in the state, but now resides in Marietta, Georgia. He has two grown children and one granddaughter and spends his spare time with family and friends at home or at his family farm in Madison county. 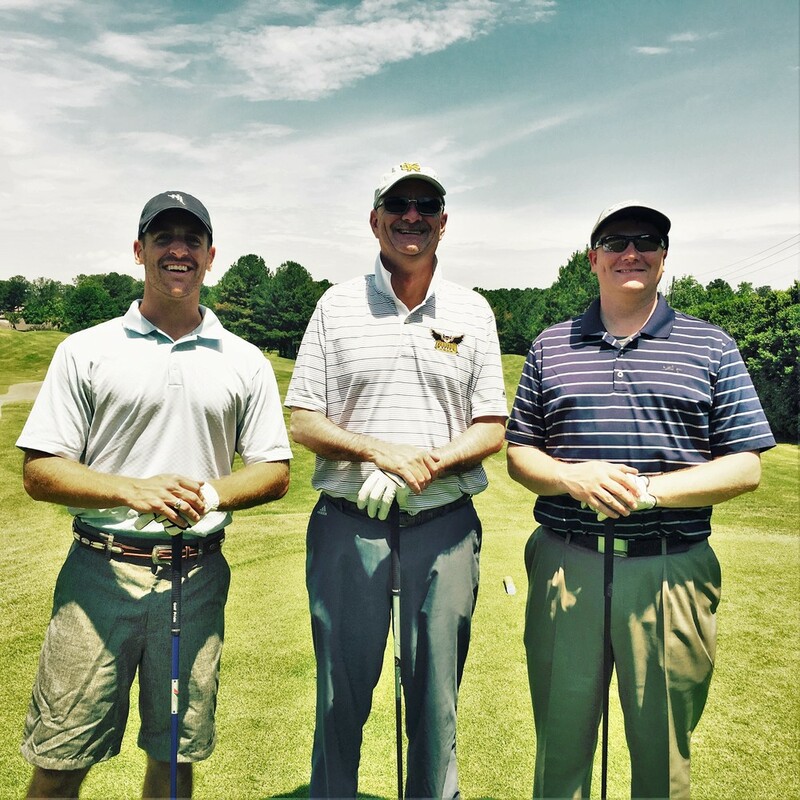 Last week Croft had the opportunity to play in the Dot Martin Golf Classic hosted by the Kennesaw State Department of Athletics and the Owls Fund. Jim and Anthony were on a team with Scott Whitlock, the KSU Associate Athletic Director and George Wright, Cedarcrest Church Senior Pastor. It was a beautiful day to play golf and help raise money for student athlete scholarships. Attendees left feeling fueled and inspired to enter into their homes, jobs, relationships and community ready to be a leader in some way. If you were in attendance please share what you have learned with others, so the impact of this event can continue to spread. If you were not able to attend and would like to next year, please let us know! We are always on the lookout for individuals we can sponsor to attend next year. Thank you Leadercast for another wonderful event! The signage is installed! Hogan construction is putting the final touches on the bundling. A unique view of the pre-function lobby. Notice the stained concrete pattern. The Clarkesville Retail Project is a mixed use redevelopment project that involves the rehabilitation of 4 buildings damaged by fire that are integral to the historic fabric of downtown Clarkesville. Croft is partnered with Blake Rainwater & Associates on the Design-Build team and has proposed a program that repairs and re-purposes 3 of the 4 buildings. The 4th building, which sustained the most damage from the fire, will be completely removed and replaced with an infill park. This plaza allows for community gathering that ties into the proposed plans of future redevelopment of the block. At Croft, building community is a top priority. We make an effort to begin this charge within our own 4 walls. One way we do this is by providing lunch every Monday so that our team can gather together and break bread. It also helps as a good Monday pick me up! - To encourage them to develop relationships with other pastors that they may serve as support to one another. Jim will met with pastors and had meaningful conversations about designing a church that invites community. As a sponsor, our monetary contribution helps pay for Pastors who may not have the funds to attend. Participating in events like this is just one of the ways we accomplish our mission of Serving Beyond Architecture. Dallas and Main is 140 plus multi-family apartment complex in downtown Kennesaw, GA adjacent to City Hall. It consists of 25 buildings with multiple units, each building was designed to appear as a home that was refurbished into apartments. The Lewis House is the existing building on the Dallas & Main Property, originally built in 1889. The owners are rehabilitating the Lewis House into the Leasing Office with limited amenities in keeping with the design standards established by the Kennesaw Historic Preservation Commission. Croft has recently been granted approval by the Preservation Commission to move forward with our work, deemed appropriate by their board. We are excited to be part of such a game-changing project for the city of Kennesaw and look forward to seeing it come to fruition. For years, Croft & Associates has supported CURE Childhood Cancer and their Open Arms program. This organization is very near and dear to our hearts and it is an honor to continue to be a part of what they do. The Open Arms program allows inpatient families to have a free meal, meet other families and have some fun! 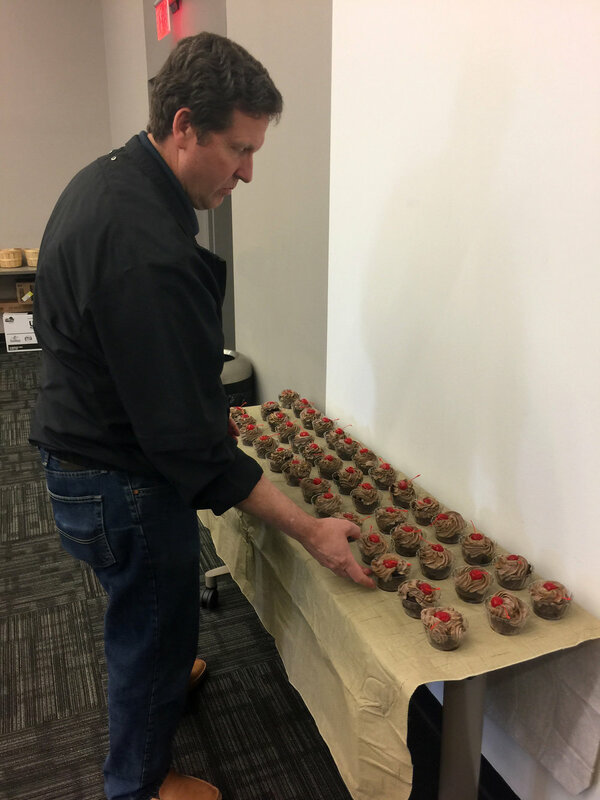 Croft helps provide meals once a month to families admitted to the Aflac Cancer & Blood Disorders Center inpatient unit. We look forward to the continual support of this great organization and all they do. Jim recently attended the ground breaking ceremony at Bethlehem Baptist Church in Clarkesville, GA. Croft has enjoyed designing their Education Building and look forward to seeing it through construction. Jim with the contractors from Blake Rainwater Construction.